Built on 'the bend in the Red River', Hà Nội is among Southeast Asia's most ancient capitals. Over the centuries, it took shape in part from a dense substratum of villages. With the economic liberalisation of the 1980s, it encountered several obstacles to its expansion: absence of a real land market, high population densities, the government's food self-suffciency policy that limits expropriations of land and the water management constraints of this very vulnerable delta. E. Cerise, S. Fanchette, D. Labbé et al. S. Fanchette, C. Musil, P. Moustier et al. 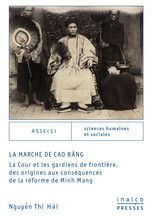 S. Fanchette, J. Segard, Nguyễn Văn Sửu et al. S. Fanchette, Lê Văn Hùng, P. Moustier et al. S. Fanchette, Y. Duchère, J. Segard et al. Since the beginning of the new millennium, the change in speed brought about by the state and by property developers in the construction and urban planning of the province-capital poses the problem of integration of in situ urbanised villages, the importance of preserving a green belt around Hà Nội and the necessity of protection from flooding. The harmonious fusion of city and countryside, which has always constituted the Red River Delta's defining feature, appears to be in jeopardy. Working from a rich body of maps and field studies, this collective work reveals how this grass-roots urbanisation encounters 'top-down' urbanisation, or metropolisation. 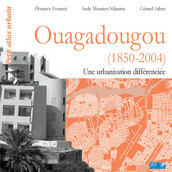 By combining a variety of disciplinary approaches on several different scales, through a study of spatial issues and social dynamics, this atlas not only enables the reader to gauge the impact of major projects on the lives of villages integrated into the city's fabric but also to re-establish the peri-urban village stratum as a fully-fledged actor in the diversity of this emerging metropolis. PhD in Geography from Paris 8 University and is authorised to supervise research. She has been conducting research at IRD since 1993 and is a member of UMR Ceped. Her main research interests are the urbanisation process in densely populated rural areas and the conditions of population densification in the Nile and Red River Deltas. 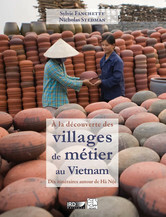 In Vietnam, she studies rural industrialisation and the peri-urbanisation process in the context of the Vietnamese capital's metropolisation..
FANCHETTE, Sylvie (dir.). 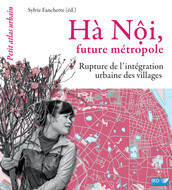 Hà Nội, a Metropolis in the Making : The Breakdown in Urban Integration of Villages. Nouvelle édition [en ligne]. Marseille : IRD Éditions, 2016 (généré le 25 avril 2019). 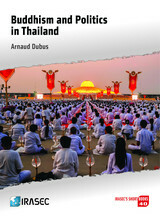 Disponible sur Internet : <http://books.openedition.org/irdeditions/26145?nomobile=1>. 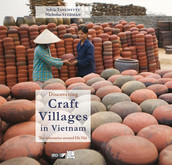 ISBN : 9782709921985. DOI : 10.4000/books.irdeditions.26145. Fanchette, Sylvie, ed. 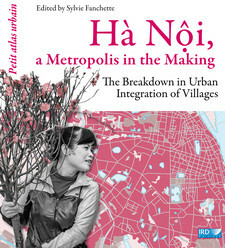 Hà Nội, a Metropolis in the Making : The Breakdown in Urban Integration of Villages. Marseille : IRD Éditions, 2016. Web. 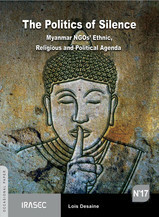 <http://books.openedition.org/irdeditions/26145?nomobile=1>.